Browse down this page for screenshots. - Fix : In the previous JRR pack, I forgot to remove the code of the extended quest book in AUC themes, this is now done. - Monsters Lair : more compact target of the target vital bar. This is a pack of alternate user interfaces skins = themes. 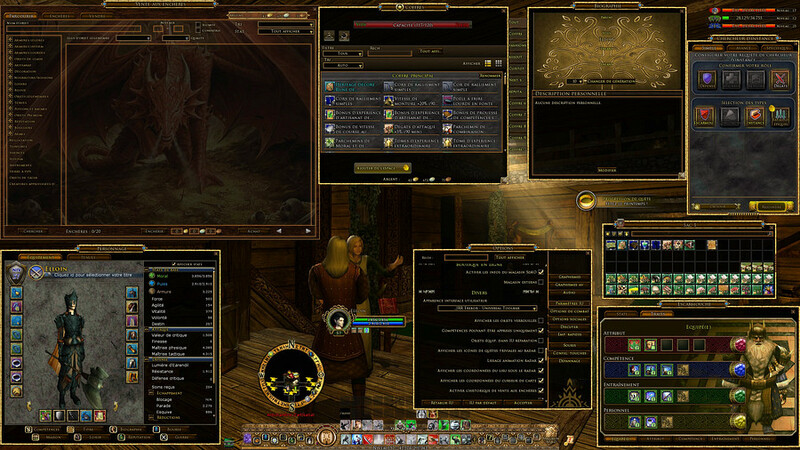 My goal trough this pack is to revive, gather, update and enhance the most famous Lotro skins (or parts of a skin) originally created and maintained by numerous authors and contributors, since most of the original releases are abandoned and highly outdated. 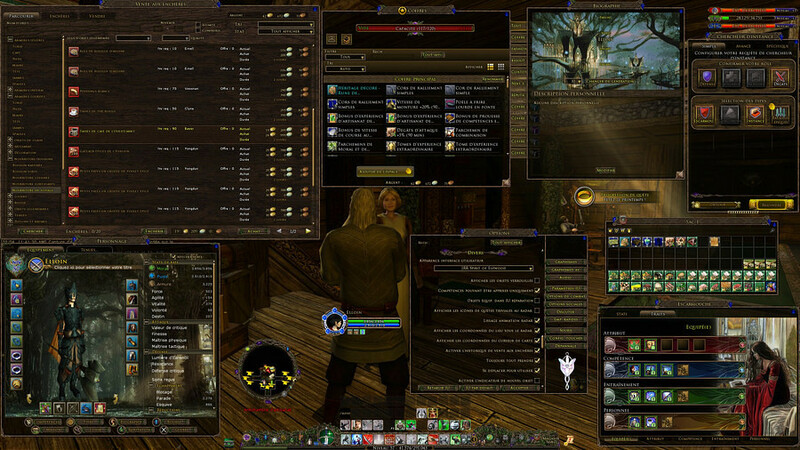 During the reviving process I freely revisited the themes to offer the lotro community a new experience of these great artworks by applying my own touch. All the themes included in this pack share the same panel customisations, designed for today's high resolution screens. - The theme JRR A is a minimal dark glass theme, inspired and built with many Brygard's B.G.M elements. - The theme JRR B offers a bit more transparency on the auto-attack button, the system buttons located at the left and the right of the toolbar are turned invisible. - The theme JRR C has a minimalistic main bar. Auto-attack button is a bit more translucent. XP bar is turned invisible. All system buttons are set invisible, except when passing the mouse over them. Every skin folder can be considered as an addon and is independent from the other ones. This means each main skin folder can be deleted from the pack or modified without affecting the other skins. Every skin folder interacts with no other folder than the "JRR CORE" folder. This folder contains the common files for all the JRR skins (this is the only folder which must not be deleted to get all the skins displaying properly). This makes easy for anyone to freely publish a new skin, a patched or customized edition of a skin, ready to plug in JRR, in addition or as replacement of existing skin(s). This also means, as a simple user, you can reduce the number of skins embedded in the pack in just a few seconds, by simply deleting any skin folder you don't want to be featured any more ! 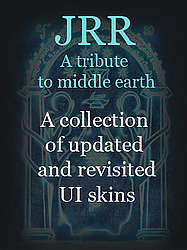 For this, open the JRR main folder, it is located there : "...Documents\The Lord of the Rings Online\ui\skins\JRR Skins collection\"
Notice : Just don't remove the folder named "JRR CORE". A minimal resolution of 1024 pixels width and 768 pixels height is required, 1440X900 or higher is highly recommended. If you are below 1024 pixels width and/or 768 pixels height, you can still enjoy the JRR SmallBar add-on by selecting its "_JRR Small_No-Ext" special profile. 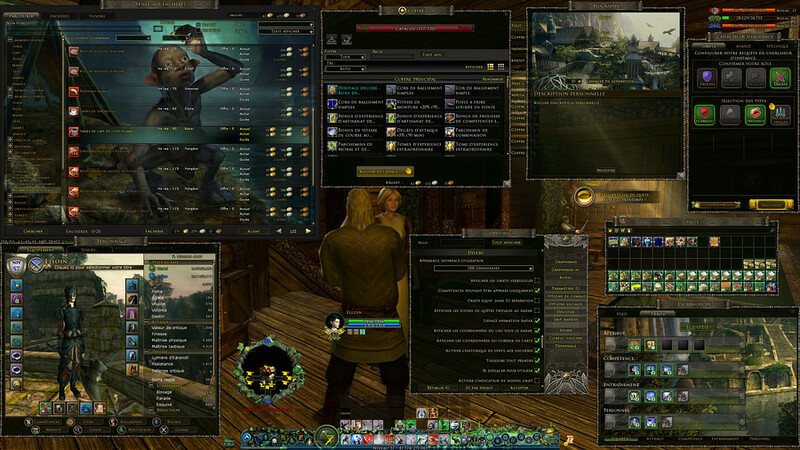 On it, every panels has Lotro's default size. 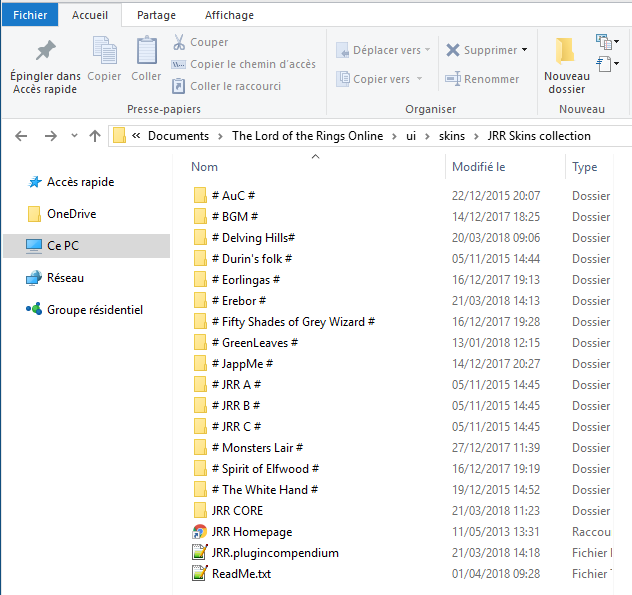 - Download and unpack the .ZIP file on your desktop (with Windows, 7-zip (freeware) or Winrar ) then copy the folder named "JRR Skins collection" in "(My) Documents" --> "The Lord of the Rings Online" --> "UI" --> "skins"
If UI and/or skins folders don't exist, create it. - If your LOTRO client is running, close it and restart it. 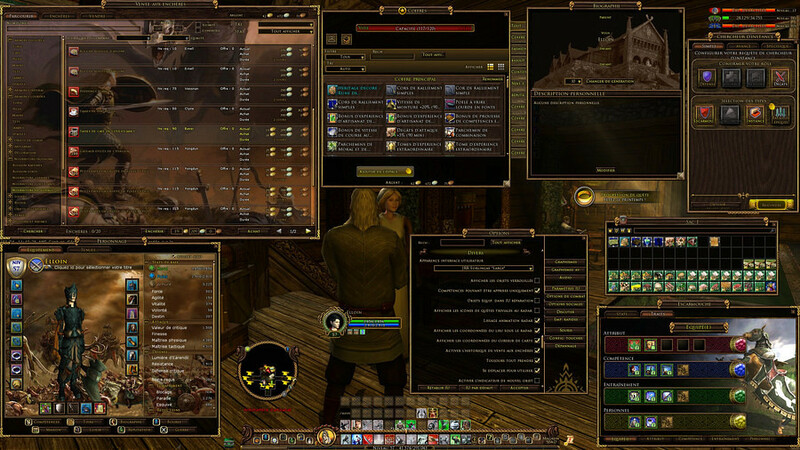 - Open LOTRO option panel, then select "ui settings", miscellaneous section, and look at the first line, user current skin ("user's interface appearance" in French). After you selected a JRR theme, you have to logout (switch to the character selection menu) to apply the new correct parameters. After that you can go back into the game and enjoy all JRR features. Except " Monsters Lair *short* " and "Delving Hills *Short* ", BGM *short*, Erebor *custom* which both have custom toolbar settings", all the themes featured in the main download share the same panels settings. This means once your character has applied these settings a first time (by logout then login back), you can freely switch between the main download themes and fully enjoy it without having to to perform another logout / login back. (except for the 2 skins mentioned above). - A taller panel displayed when applying an item (scroll, crystal, xp...) on a legendary Item. Displays 8 LI instead of 6 by default. - A taller enemies tracking panel. Displays 20 names at once instead of 8 by default. - A taller inspect panel. - A more compact connection Status icon. - I just installed JRR and selected one of the skins on my character, some panels are displayed in a strange manner, like upside down. Logout then login back, this is a necessary step to apply the new custom panel settings. Once you did it, and since you stay on JRR universal toolbar skins, you will be able to switch from a skin to another one without having to logout again. All the skins included in the main JRR pack are universal toolbar skins, except Delving Hills short, Monsters Lair short, BGM short and Erebor *custom*. If only a few elements are greyed (meaning that the corresponding picture file was not not found at the indicated location), uou should re-dowload and re-install the skin or this can be a error from my side. Don't hesitate to report me this kind of issues. If a big amount of grey frames occurs, first ensure you installed the pack of skins at the right location on your hard drive, then ensure you installed the optional addon folders side by side with the "JRR Skins collection" folder. "JRR skins collection" folder must not be renamed and must be directly placed at the right place, not inside another custom/unpacking folder, if not, optional addons won't work and show only grey frames. Optional addons folders must be located outside JRR skins collection folder, and placed just beside it. Changing the location of the map on the screen seems not possible. - On delving Hills short / Monsters Lair short / BGM Opaque Short / Erebor custom, my toolbar is not centered or its buttons cannot be clicked. These particular profiles require the user to edit the corresponding skindefinition.xml file to position the toolbar depending its game resolution. All required informations about how to proceed are logged into their skindefinition.xml file. Open it with any text editor, like Wordpad or Notepad. 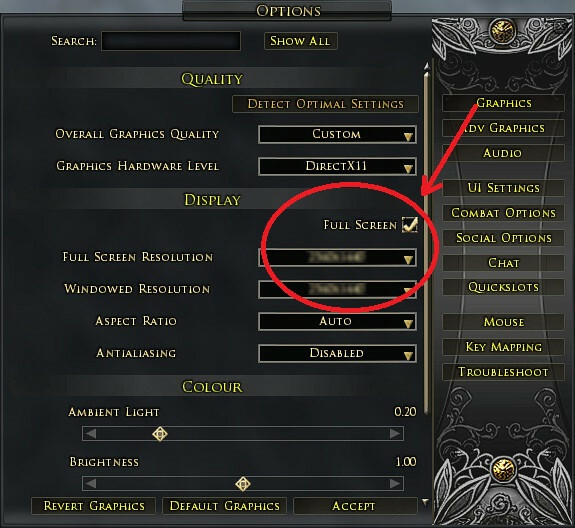 I you play in window mode or switch between window mode and fullscreen mode, you can bypass the "Y" issue by simply setting the toolbar scale to a value different than 1.00 ( in lotro option panel -> UI settings tab) (0.99 or 1.01 is ok). On windows 7, you can switch to the windows desktop without pressing Alt+Enter to switch into windowed mode. For this, press ctrl+alt+F12 then "task manager". JRR skins collection doesn't supports resolutions with a height below 768 pixels. - "AuC" original contents come from "AuC Theme - Blue (SoM)" by Gaylen. Many additional panel backgrounds grabbed on Google Images. - "B.G.M" 4 skins are based on "Black Glass Mix" by Brygard and its updated edition Black Glass Remix nicely released and maintained by Taangar. - "Delving Hills" both profiles are a JRR revisited edition of "Delving Hills" created by Wicked Mouse. The loading screen comes from Elven Adventuress UI by Silverangel. Auction house background by John Howe. - "Durin's Folk *short* and *Large*" original contents come from "LM Durin's Folk Revisited", originally created by LedMirage then revisited/updated by Daimon. 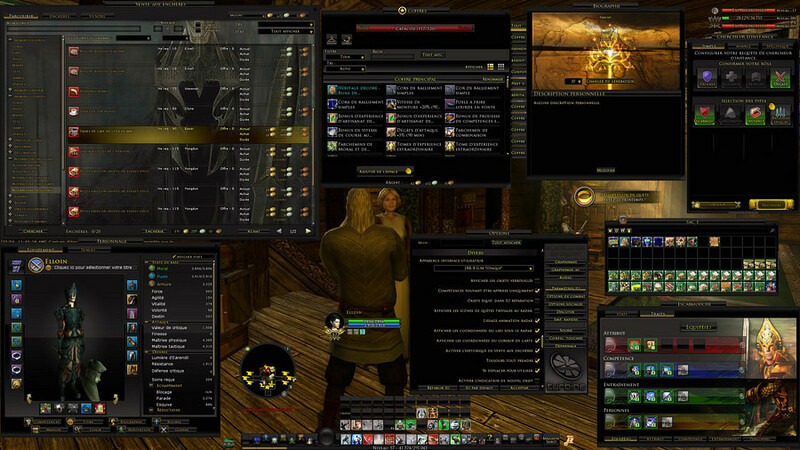 - "Eorlingas" both profiles original contents come from "Eorlingas", by Ledmirage and from Eorlingas Revisited Again revisited by ElfHeart. Character panel background by Ruiz Burgos. The anniversary portraits 1 to 9 are based on vital bars from Riders of the Riddermark by Supermax. 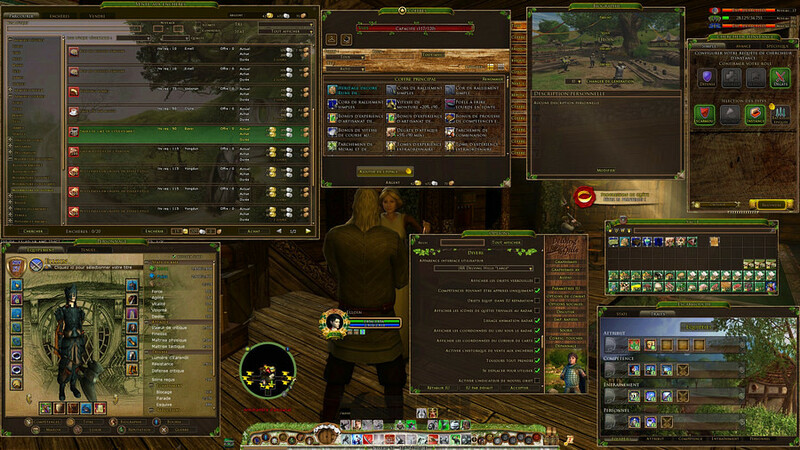 - "Greenleaves" mainbar and minimap come from "Greenleaves" created by Chevrefeuille, panel borders and parchment titlebars come from Kaylan's Scroll Action Bar by Kaylan. - "JappMe *short* and *Large*" original contents come from "JappMe MoM Ivy" 2.0.2 and JappMe Isengard, both by JappMe. - "Monsters Lair" is a JRR exclusivity, by Adra. It delivers a full "monster play" looking theme. The short toolbar design is based on Small Monster Play Toolbar, by AP Erebus. - "Spirit of Elfwood" original contents come from "Spirit of Elfwood Reborn" by Kuvasie, Ryshia & Elfheart. - "The White Hand *large*" original contents come from "The White Hand", by Kaylan. - "The White Hand *short*" is a JRR exclusive edition of "The White Hand". 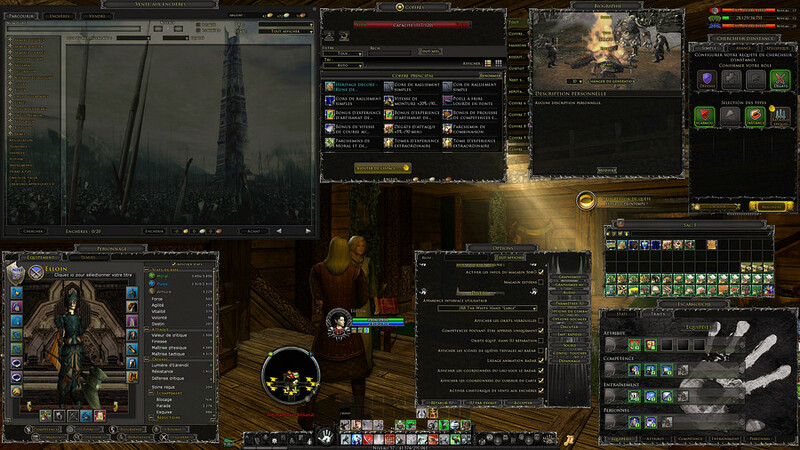 - Erebor supports any screen resolution superior or equal to 1152x864. It is based on the theme "Firebeards" from "The Naugrim - double UI Firebeards/Broadbeams" which is based and combined off of Sinli's Enclaved FIRE&ICE and LM Durin's Folk. 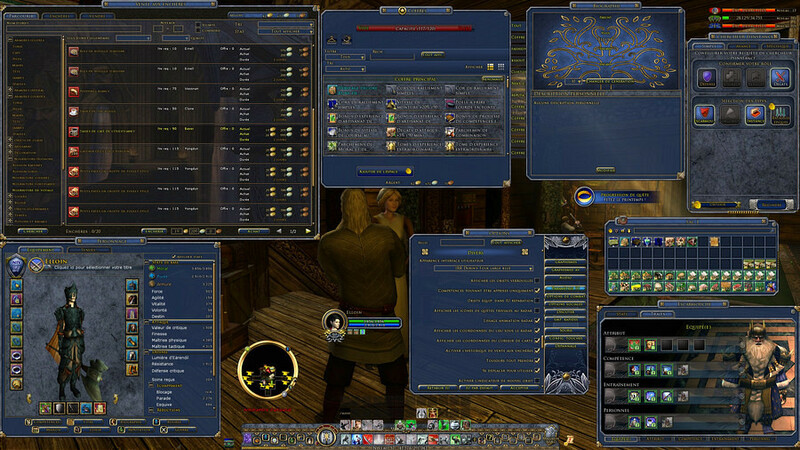 This theme includes 2 profiles : "_JRR Erebor - Universal Toolbar" and "_JRR Erebor - Custom Toolbar 3x2". The only difference between these two profiles is the toolbar. 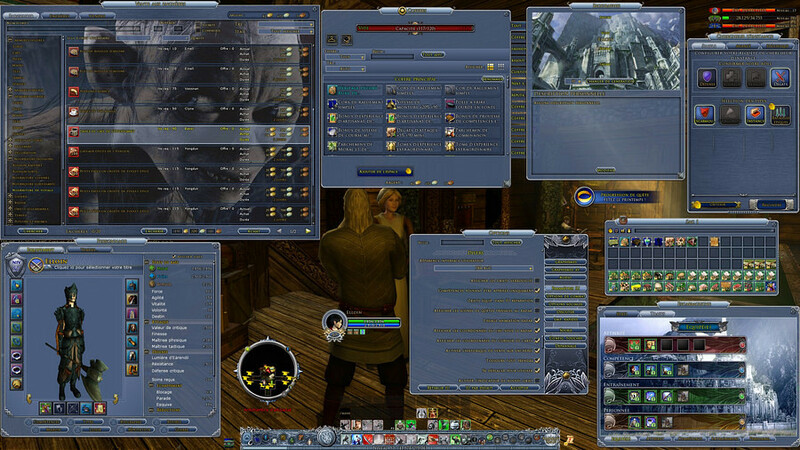 The custom toolbar profile is inspired and has some elements from "Enclaved Dwarf UI", created by Sinly and based on elements from LedMirage's Eorlingas. - I built my first release of the JRR theme using the theme Jack's RedPin-UI 1.0 by Jack of Windfola as a starting base, which inspired me the name "JRR" as a wink signifying "Jack's Redpin Revisited" and referring in the same time to JRR Tolkien as the pack is mainly a tribute to the work made by a community of artists inspired by the author of the Lord Of The Rings. - Many panels elements in different themes come from Brygard's B.G.M, some other pictures and codes come from Eclipse UI, Azure Glass, JappMe. 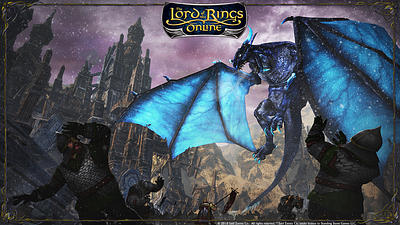 - I used some wallpapers and artworks from LOTRO, "lord of the rings" the movie and of the game "the battle for the middle earth II". 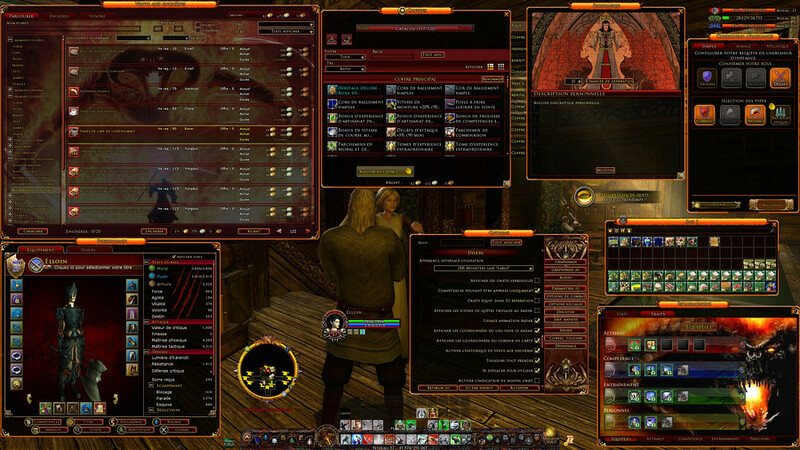 - "Larger Auction Panel" by Thrashfinger, modified by Wicky71 and by Adra. - Dressing room by Brygard, modified a first time by Jack then by Adra. - Custom Saruman rings, by Adra. - "Transparent Map Tracker" by Hazado. - Mail and vendor parts from "Firefern's Crafting, Vendor and Dressing Room" by Mirarkitty. - Attunement bar (Rune keeper) from "ZerCleanUI" theme, by Zerstor. - "Warden Gloss" by Zamos. 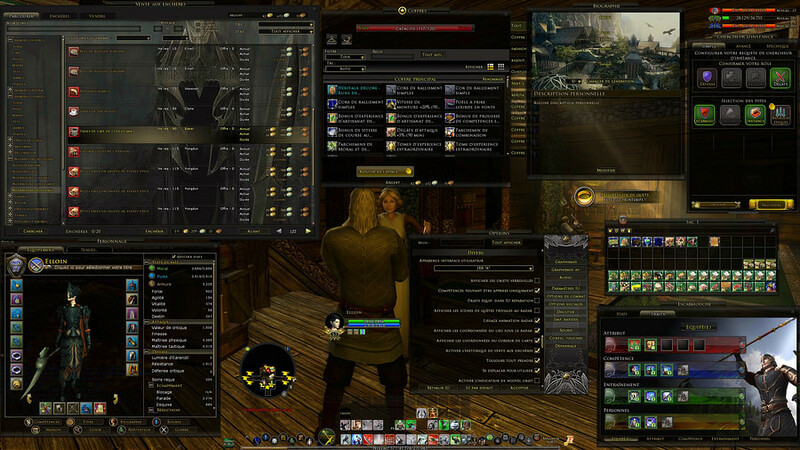 - Windowed map from Eclipse UI, by Eclipse aka Shivega. 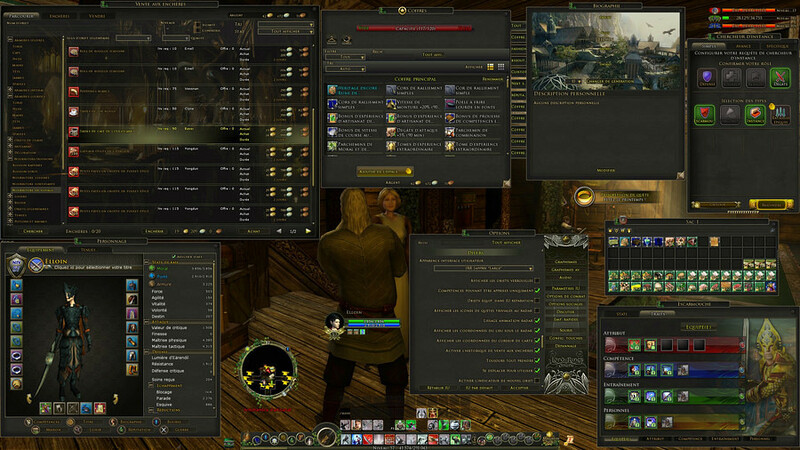 - Extended Crafting Panel with localization fixes, by Adra. 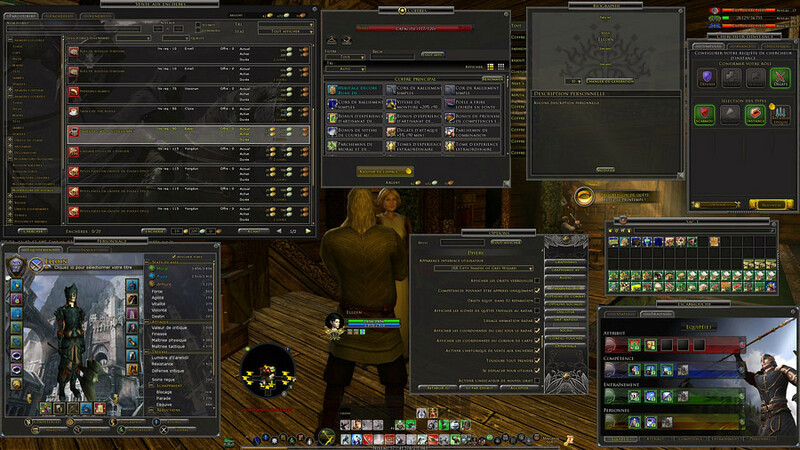 - Expanded master loot window (20 items max instead of 10), by Eric Led, updated by Adra. - Some store buttons removal codes are from Elwe's no store button, some others by Adra. You can receive an email notification on each update of JRR Skins Collection. (near the top right of the page, under the download button). I have no more knowledge about this subject than I logged there. I'm not sure to really understand what you mean / wish to do. It's possible to "definitely" turn the gambit bar invisible, I mean without having any switch available to turn it visible on demand. which represents the end of the file. Here is the edited and shortened code to copy-paste in you Jappme's skindefinition.xml file to turn your warden' gambit invisible. Be careful to target the right folder/file : There is 1 skindefinition.xml file per theme and theme variation ! Last point : The first X and Y values in a panel's code represent its default location on the screen before the user customize it using [Control] +[*] (on azerty keyboards at least). Some UI elements, as mail panel, fail to memorize custom location, so, for such buggy panels, editing default location can help to fit your needs. Last edited by Adra : 04-06-2019 at 02:17 AM. First of all, good work on the skins here. I've tried them all and all of them look fantastic. Good job! So I've been trying to find a way to stop my fullscreen map from stretching for years. After some quick research, I found that you can tweak the SkinDefinition.xml file to make a custom size. I see that the skins here also modify the file so I was wondering - is there a way to keep the 4:3 AR of the map and center it in the window? So for instance, if I run at 1920x1080, and want to prevent horizontal stretching, I could set a custom resolution to 1440×1080 so I'm utilizing the full verticality of the window, but avoiding stretching, and then center the map. I've played around with this a little bit but haven't quite gotten it to work yet. Any help would be greatly appreciated as I could apply this to all the skins and keep the great interface and fix the map to my liking. Hi again, quick question. Is there a way to move or hide the Gambit window when using the JappMe ui mod from your collection? PS - I have tried everything I can think of. It's not possible to hide the Gambit window, regardless of which skin you're using. However, you can move it in the usual way (Ctrl+\, or whatever you have define for the "Reposition UI" hotkey). 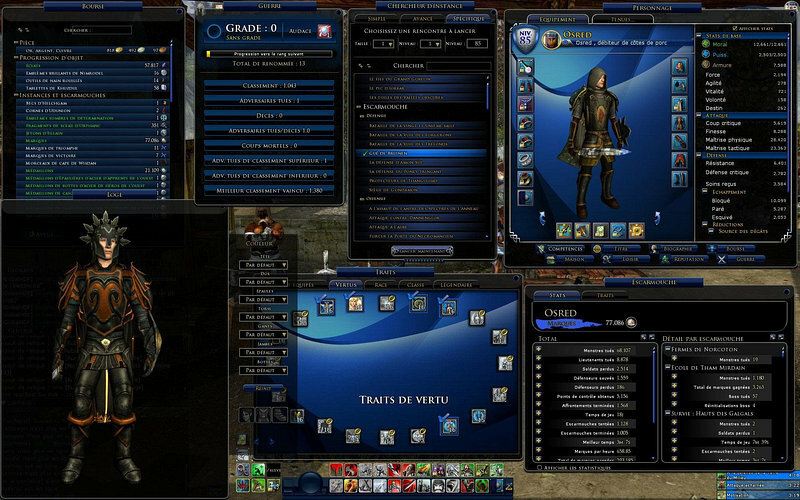 And you can make it smaller (Options -> UI Settings -> Class Ability Bars slider) and move it behind something else. - The skins I chose to revive through this pack were highly outdated / abandoned since years when I started to restore them, I don't think this is the case for this one. - I do not actively develop the JRR Skins Collection anymore. I mostly work on keeping it up to date. - I had a quick look at this skin, and it seems to NOT reach the same level of customization than there is in the other skins from the pack, I would have to double its amount of files/code, which would be a huge and long work. Last edited by Adra : 04-06-2019 at 02:14 AM. Thanks for the updates and question. Thanks so much for the update, Adra! Loads of kudos to you! Generally speaking, skinning can't add any new feature in the game, contrary to the plugins. Consequently, skinning can't add the ability to resize at-the-fly any static size panel. Skinning can act on panel size only by defining another static size, and this is not easy to do as there is no user side tool for that, as far as I know. 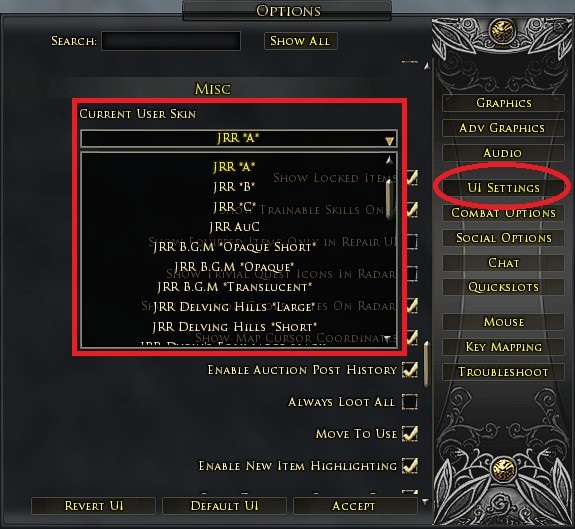 Fortunately, some interface elements without a handle on their frame can be resized using sliders in the option menu of Lotro, in "UI settings". You can edit the skindefinition.xml file and manually change the size width and height of the map, but it's not intended to be done, because it can fail to load the skin in case of unrecognized values or more probably lead to report wrong coordinates when hovering the map with your mouse cursor. This is what occurred when I tested it, a few years ago. Last edited by Adra : 04-06-2019 at 03:08 AM. Nevermind - I read the FAQ. Hello. Thanks for a wonderful skin pack. I've used it for years and would be very sad if it were gone. Question. How can I adjust some of the panels to be bigger. For one, when I run at a higher resolution the map is tiny. How can I individually control the size of the map so that it can be, for example, as big as my current screen size? The same for other panels that are tiny and hard to read. Can I set them at a size different than the overall resolution of the game itself? There was recently added 8th cosmetic slot, when inspecting someone, it is not aligned properly. Last edited by Adra : 01-20-2019 at 08:33 AM.